Don Soldinger was one of those rare coaches who had the ultimate in success at both the high school and collegiate levels. His experience and knowledge helped to elevate the University of Miami's football program to the pinnacle, not once, but twice. Following a legendary stint at Miami's Southridge High School, Coach Jimmy Johnson tapped Don to be his linebackers and tight ends coach in 1984, a position he held throughout Johnson's tenure. Soldinger was instrumental in Miami's dominant defense, coaching future NFL defenders Micheal Barrow, Winston Moss, John McVeigh, and Rod Carter, along with tight end Alfredo Roberts. In his second stint with the Hurricanes beginning in 1995, Soldinger came back as the running backs coach, nearly turning Miami's "Quarterback U" reputation into "Running Back U." He shaped the careers of some of Miami's finest backs, including Edgerrin James, Willis McGahee, Clinton Portis, James Jackson and Danyell Ferguson. Those five backs hold six of the top seven single season rushing totals, all topping the 1,000-yard mark. Add Frank Gore, Najeh Davenport and Jarrett Payton and you have a stable of some of the finest running backs in UM history, all who were coached by Soldinger. Soldinger coached Willis McGahee to the finest season by a Hurricanes running back in 2002, as McGahee set school records for rushing yards (1,753), rushing touchdowns (28), total touchdowns (28), all-purpose yards (2,108), total points (186), rushing yards per game (134.8), rushing attempts (282), touchdowns in a game (6), and 100-yard games in a season (10). In Don's 16 seasons as an assistant coach at Miami, the Canes won 158 games, claiming 1987 and 2001 National Championships, and playing in 14 post-season bowl games. 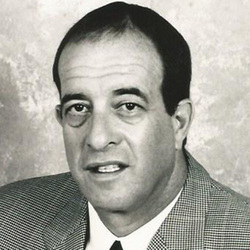 In his 12 seasons as a high school head coach, Soldinger became an icon in the South Florida prep ranks as he compiled a record of 104-35-1 at Southridge High, winning two state championship in four appearances, and twice being selected Coach of the Year by the Jack Harding chapter of the National Football Foundation and College Football Hall of Fame. His teams set a Miami-Dade County record for most consecutive victories with 29. The native of Miami Beach graduated from Memphis State University with a B.S. in physical education and he and his wife Phyllis, have two sons, Joel and Jeff. Don is semi-retired, as he still consults and enjoys working at football camps.